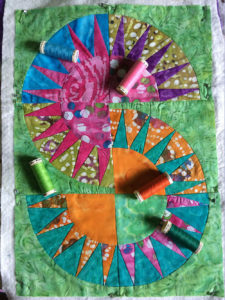 Quilting examples, ideas and just having fun. My Grandson Kayden ask me to make him a little quilted blanket to use in the front room. He picked out his colors “lime green and blue”. He ask for a satin trim. This blanket was a real challenge for me. 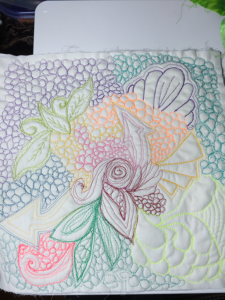 With the colors he ask for and he also ask me to use lime thread for the quilting. I let him pick out of my stash and he picked about 6 fabrics and some I thought did not look good, but he wanted me to pick out of these. 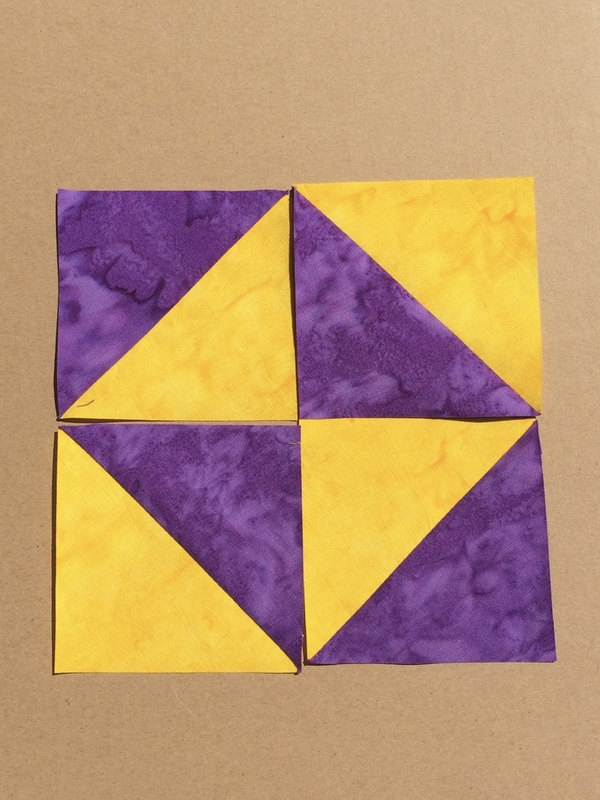 He also wanted the blanks lite “Airy” so I did not want to do much quilting. I used a 100% polly batting witch gave it that lite airy feeling. Adding the satin binding was well for me new and scary. I watched as many videos as I could find on youtube until I felt I could meet the challenge. Well the end result was not without flaws but turned out just the way he wanted it. For him it was flawless. 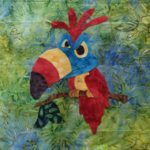 This entry was posted in Quilting on January 9, 2017 by iDebra. 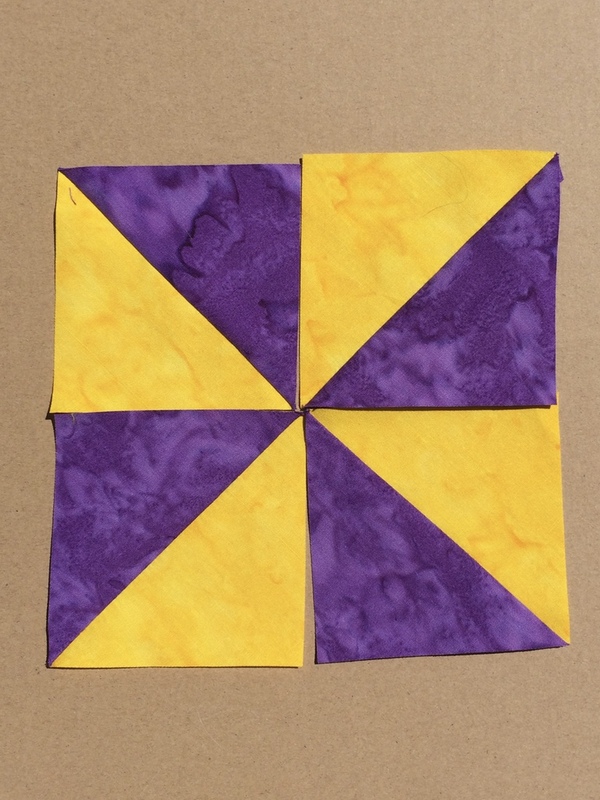 I had this idea to make like a flower design Quilt Block using the starburst 60° ruler. thought I would try it out. Came out pretty good the first one I’ve ever done. I will only get better in time. These rulers all cost a lot and are for specific designs, which often limits there use. Trying to come up with some other ideas. One thing I did not like about this ruler is it leaves a lot of wasted fabric. 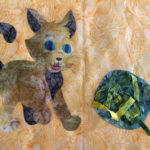 I had to find something creative use the waste for so I decided a Dresden plate would be nice or the fabric left overs. 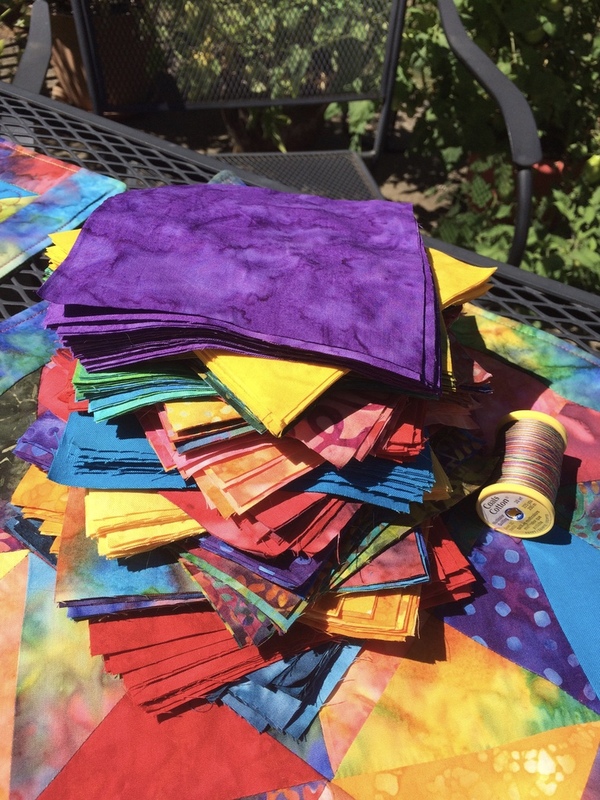 I hate to waste fabric! I have uploaded this video to YouTube. Please leave your comments if you have any suggestions on how I could’ve improved the problems I had with the sewing. If you have a suggestion on how I could have improved the video would even be helpful, I’m new at all so it’s a learning process. Thank you. 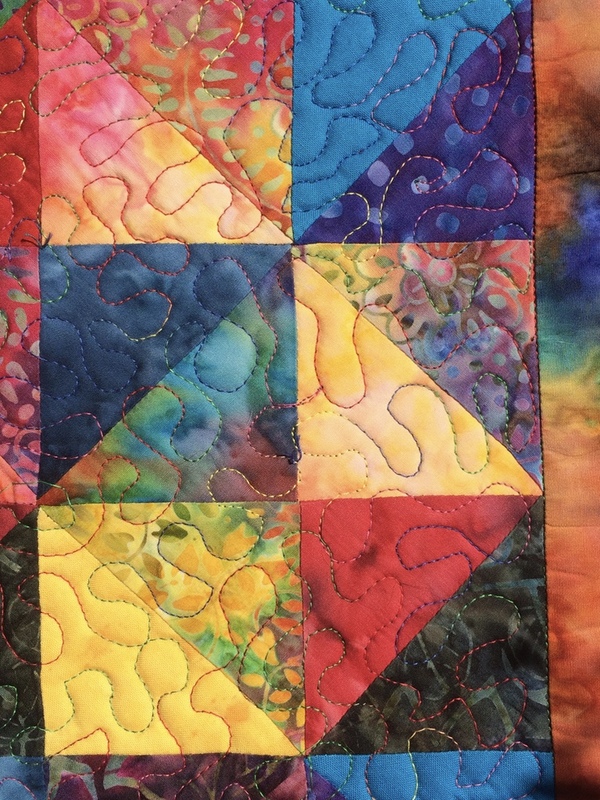 This entry was posted in Quilting on December 11, 2016 by iDebra. 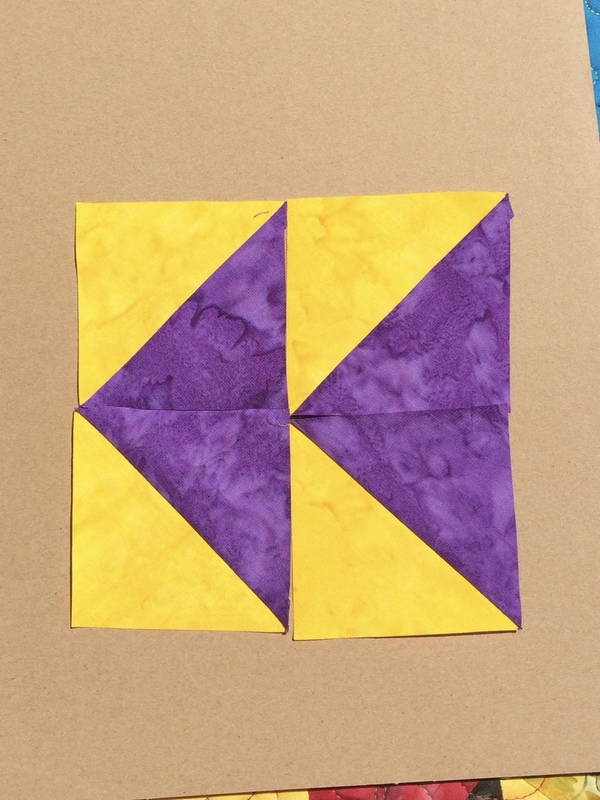 Adding another Appliqué square for my quilt from the same coloring book. 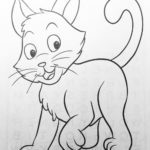 Here I picked out a cat that I really liked that is simple. 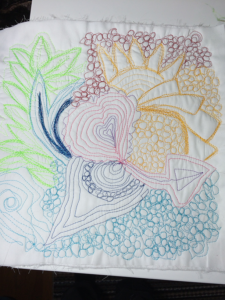 Image to use for creating Appliqué. As you can see when you cut up a few items in the drawing you can add some real interest. I have taken the back leg, tail, chest and inside of ears and made them a darker color. With the ball of yarn I added, I did one solid color for the base color and added some scraps I had to add interest and they will fray with washing to add more texture. 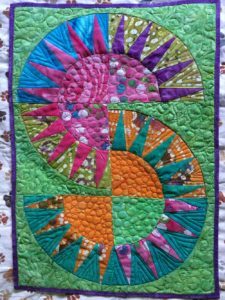 This entry was posted in Quilting on December 9, 2016 by iDebra. 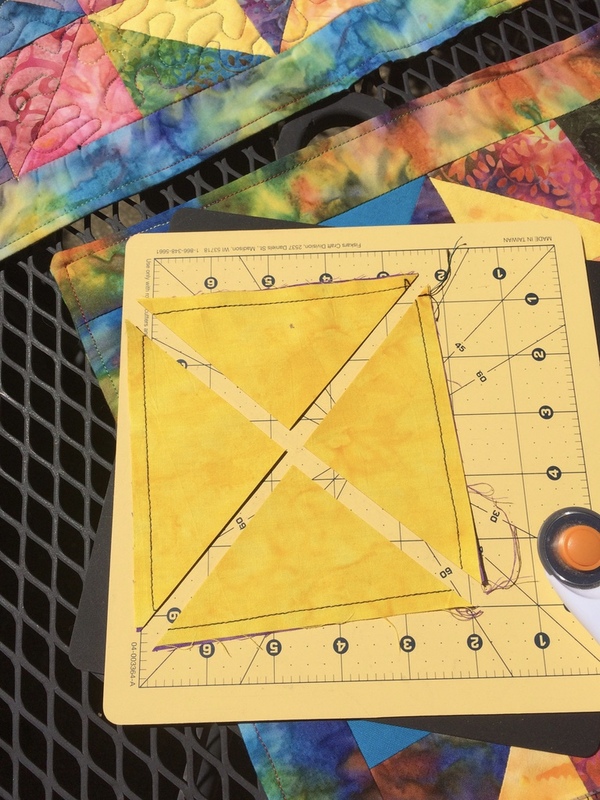 Adding another Appliqué square to my quilt from the same coloring book. 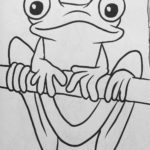 Here I picked out a frog that I really liked that is simple. 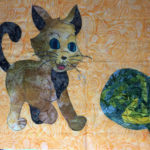 Newest Image I used for creating Appliqué. I made the belly out of another fabric. To get the tree branch in with the feet I cut them out but still leaving them attached to the main body and slid the branch into the feet. Worked out well. The original picture just had the ends of the branch empty, I added some leaves to make more interest. 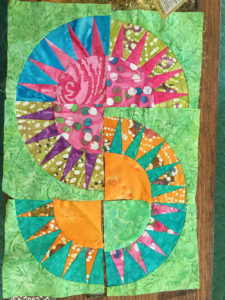 This entry was posted in Quilting on December 2, 2016 by iDebra. 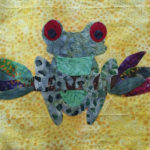 The holidays are always so busy I do not have time to sew. But when the holidays are here I get these moments I wish I would have made something for the table to class it up under the all the yummy dishes. I don’t really think of these things until they happen. 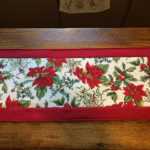 Here is my finished Holiday Table Runner I sewed for this holiday. I wanted something and did not have time to fuss over creating it. 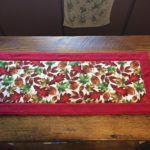 So I made this simple holiday table runner to put my Baked Dishes on for Thanksgiving and Christmas. Did one side for fall and the other side for Christmas. Staying away from a print that would limit just Thanksgiving I used some fall leaves so I can use it longer in the year. 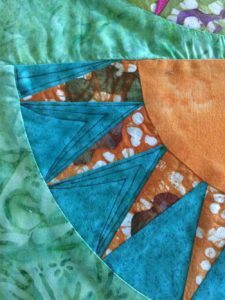 This entry was posted in Quilting on November 25, 2016 by iDebra. 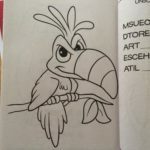 Wanted to create appliqué from this cute toucan in a coloring book I found at the Dollar Tree. He looks like he would have personality. 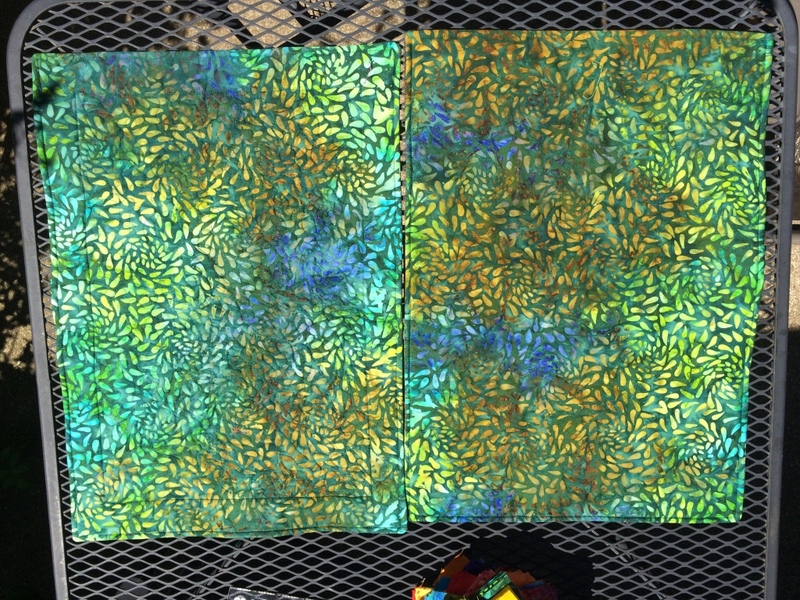 I can vision him to be very colorful on a tropical background fabric. Choosing some bright batik fabric like this striking red made him stand our. 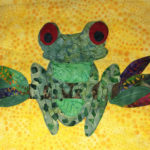 Love the background fabric I found, it had that tropical look to it. 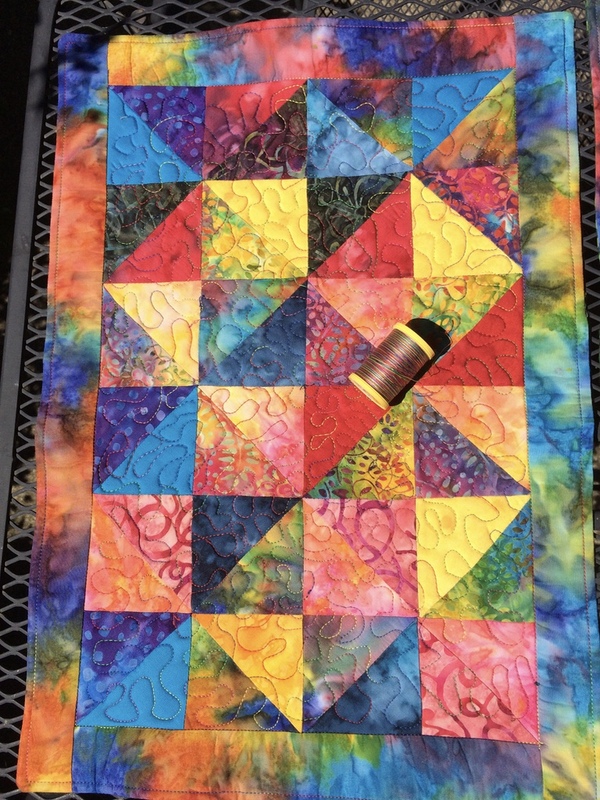 Needing to work on my free hand quilting skills and thought I would give this a try. 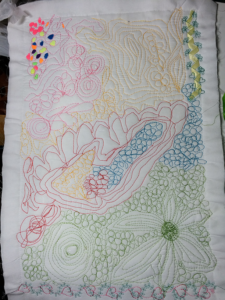 I am creating a raw edge quilt and I want lots of texture so I thought some raw edge appliqué would look really nice. 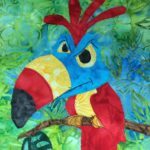 This entry was posted in Quilting on November 20, 2016 by iDebra. 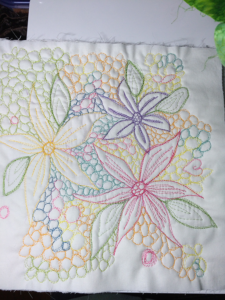 Creating this New York Beauty quilted placemat was a challenge. I think the New York Beauty is one of the most beautiful patterns, also not for the beginner. I had to try a few with some scrap fabric I had around and so I did, well I found it is not as easy as I thought it would be. It was a challenge and sewing on the curve without distorting the pieces was the most difficult. I found it fun and I still like the end result of the mat and use it for my Mac Book on my desk. Adds some cheer to my desktop. Looking at how I want to arrange the blocks. Drew on the blocks to see how I want to quilt it. 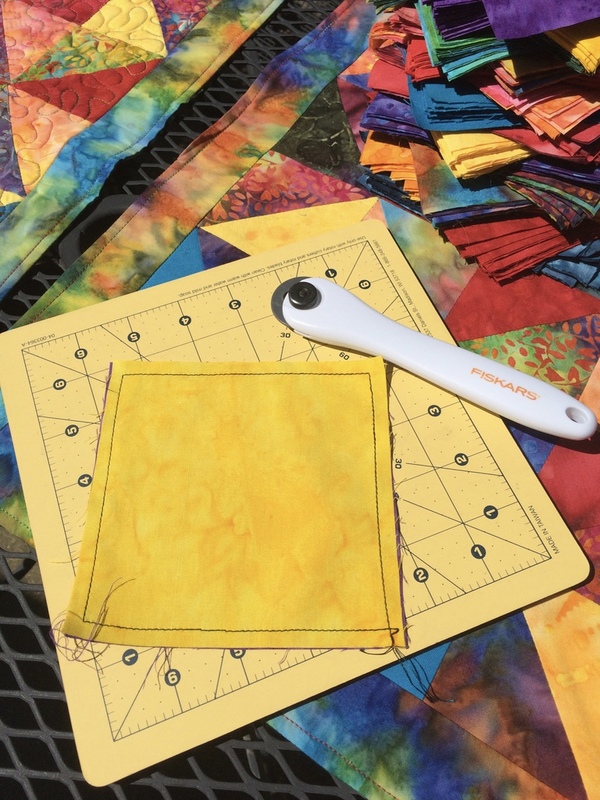 Choosing my colors for quilting. 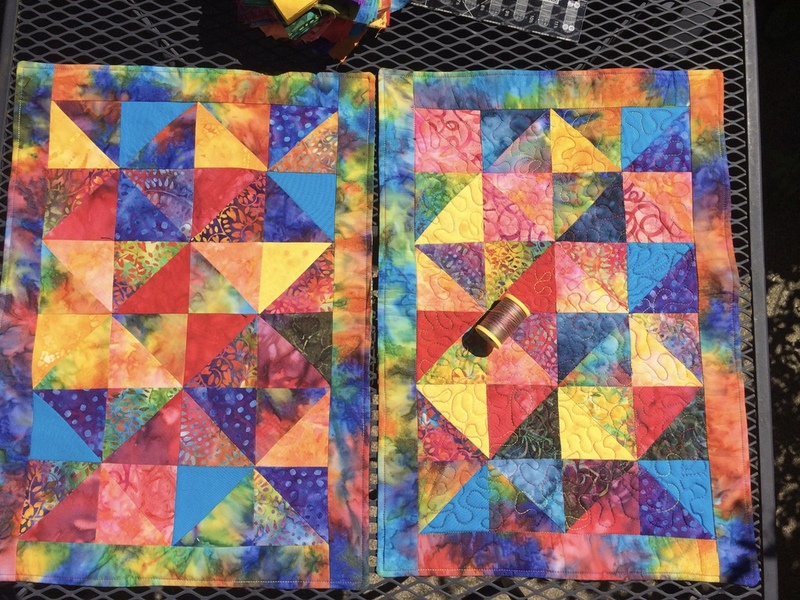 Finished quilting and rolled binding from back color for finish. 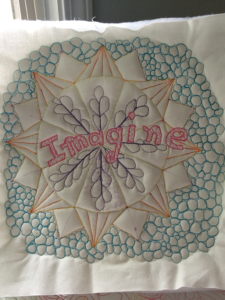 This project gave me a chance to work with sewing on the curve, paper peiceing, and free motion quilting. All on a small scale. The more I practice the better I will get and I wonder what my post a year from now will look like and what I will think when I look back at this? Wonder what I well try next? 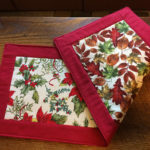 Maybe another quilted placemat. 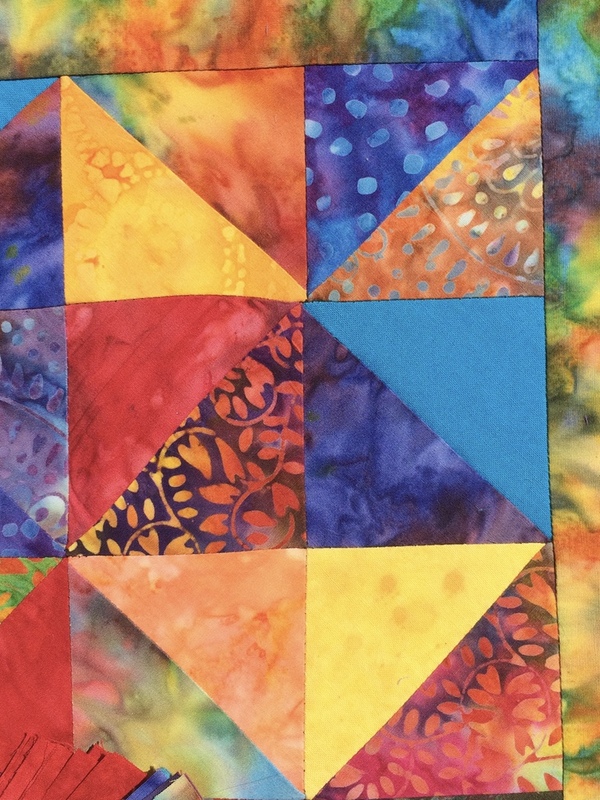 This entry was posted in Quilting on October 16, 2016 by iDebra.